The Alienware Area-51m Elite backpack is the ultimate high-end Alienware backpack. It features tons of storage options for all of your gaming needs. Haul your laptop, mouse, headset, and keyboard in one backpack. 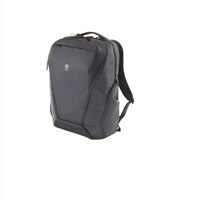 This sleek and expansive backpack is sure to accommodate all of your accessories.